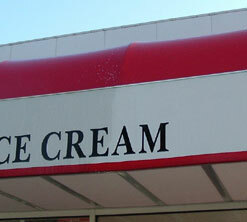 Whether for signage, marketing or as aesthetic additions to your business, the value derived from your awning is subject to how well you maintain it. 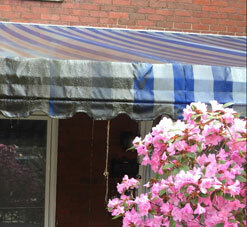 Cleaning it regularly will extend the life and enhance the look of your awning. It will also help to protect it from the damaging effects of dirt, pollution, bird droppings and the sun. Proper cleaning restores luster, adds life, and prevents permanent staining and discoloration. 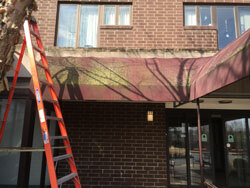 Awnings should be properly cleaned periodically by a trained professional, using the right tools, cleaners and protectants. 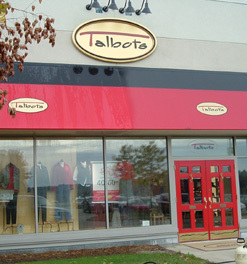 A clean awning and storefront is a reflection of your business. Awning Cleaning - Awnings should be properly cleaned periodically by a trained professional, using the right tools, cleaners and protectants. Parking Lot Line Striping - ProWorks offers complete line striping services for newly paved lots or re-stripping. 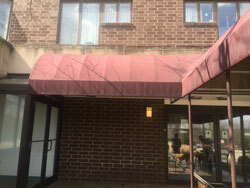 ProWorks also cleans residential, open weave awnings. 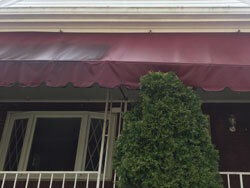 In most cases, open weave awnings can be cleaned to improve their appearance and prolong replacement.